The Salman Khan – Anushka Sharma starrer Sultan that released earlier this year fast went on to set new records for the year at the box office. Becoming 2016’s highest grossing film till date, the film was recently premiered on television. Now we hear that, Sultan that was produced by Yash Raj Films and whose satellite rights were sold to Sony Pictures Networks has now established yet another record. In fact Sultan has grossed Rs. 50 in ad revenue from television premiere. 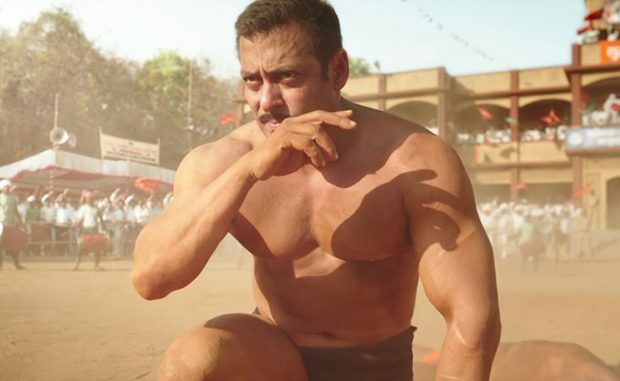 Interestingly, while Sultan premiered on October 15, the advertising inventory for the slot was sold out much in advance for the mentioned sum. Another interesting point is the advertisement cost which was pegged at Rs. 10 lakh for 10 seconds for standard definition channel Sony Max and Rs. 2 lakh per 10 seconds for the HD channel Sony Max HD. As for the acquisition of the film’s satellite rights, Sony had reportedly shelled out Rs. 60 cr as remuneration, considering that Salman Khan had a standing deal with Star Network for 10 of his films which included Sultan. Aamir Khan’s niece Zayn Khan to make her Bollywood debut?